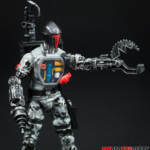 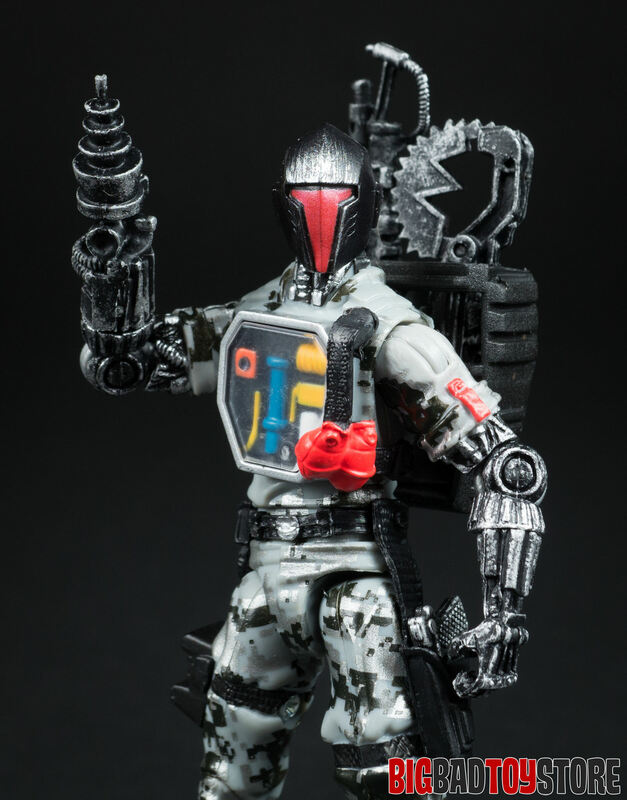 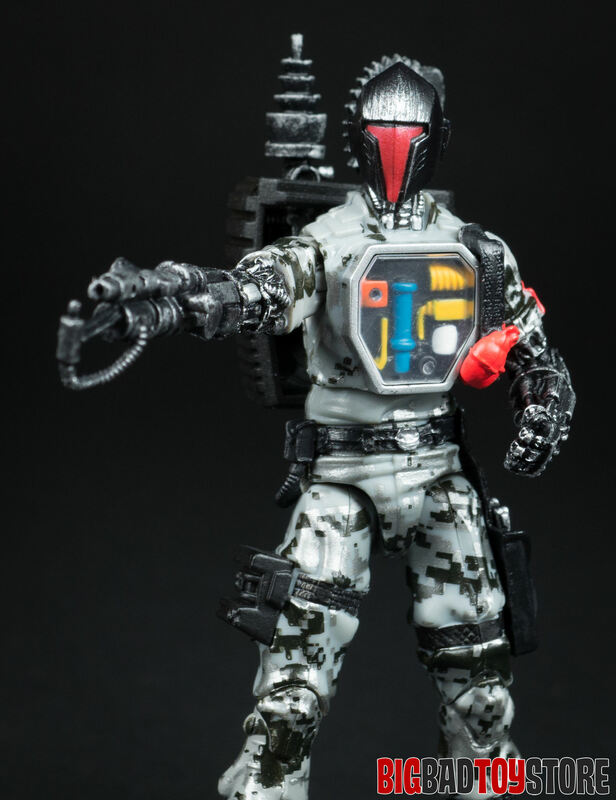 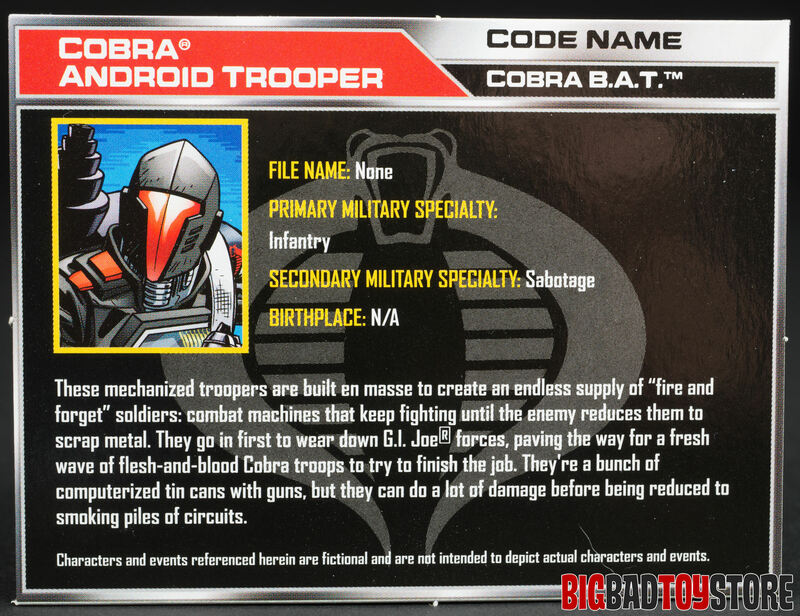 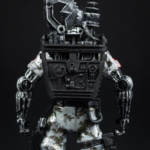 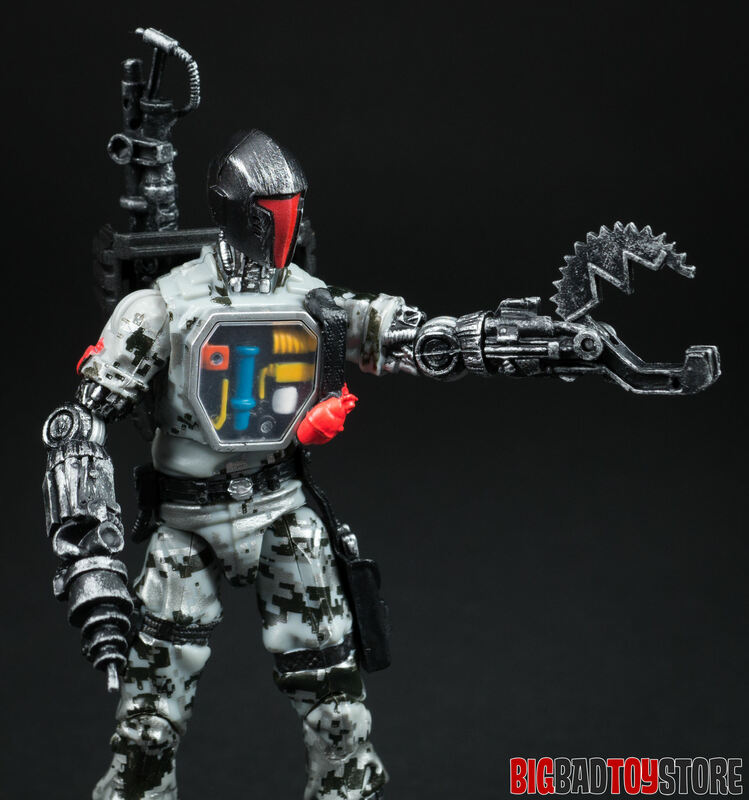 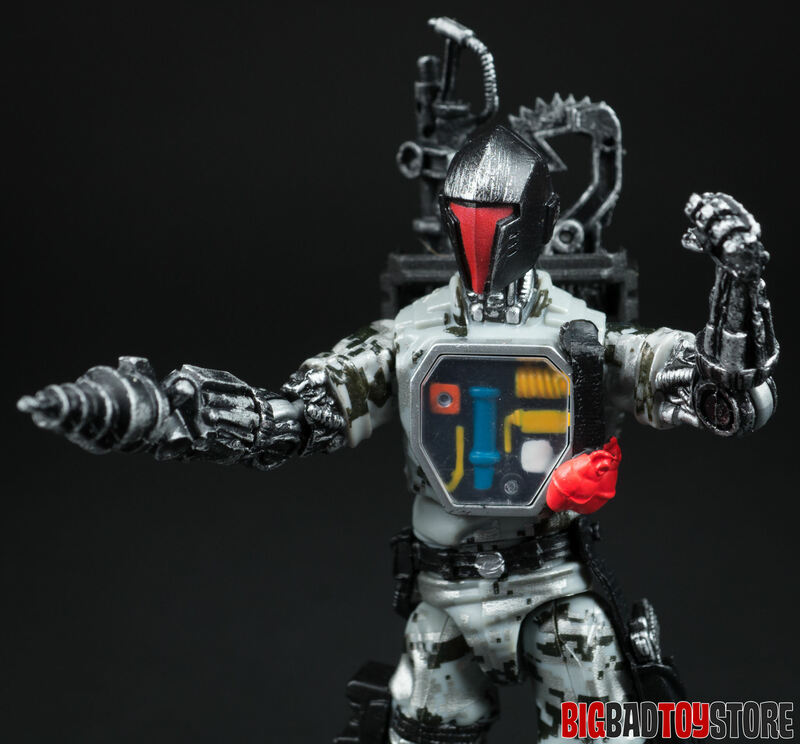 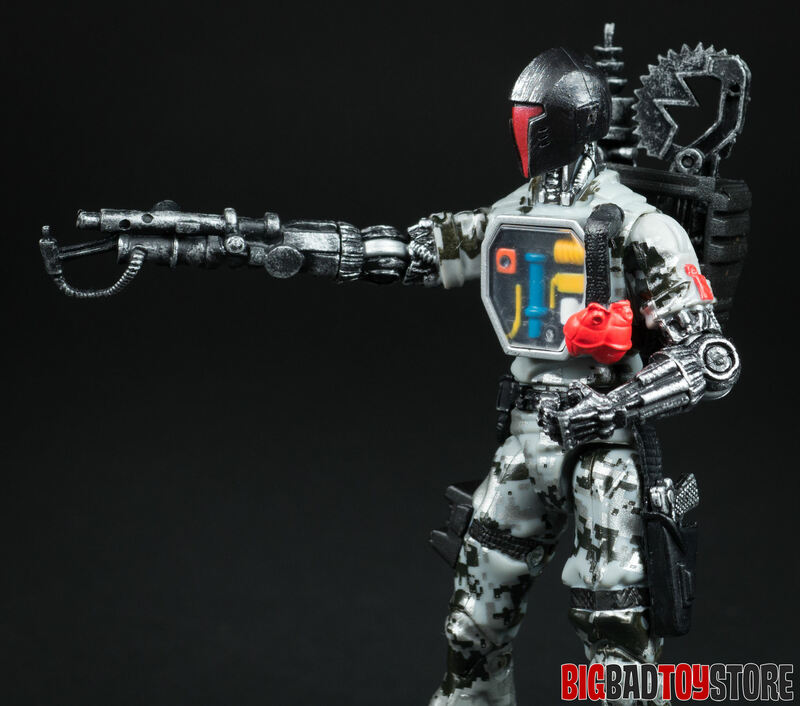 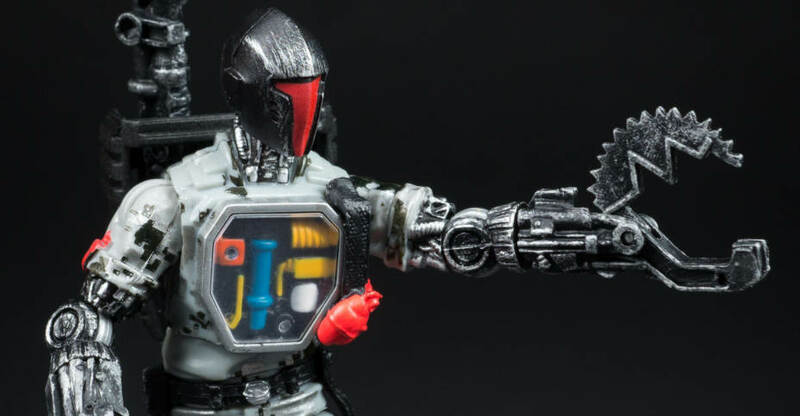 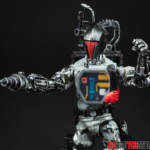 Cobra B.A.T.’s are mechanized troopers built en masses to create an endless supply of “fire and forget” soldiers: combat machines that keep fighting until the enemy reduces them to scrap metal. 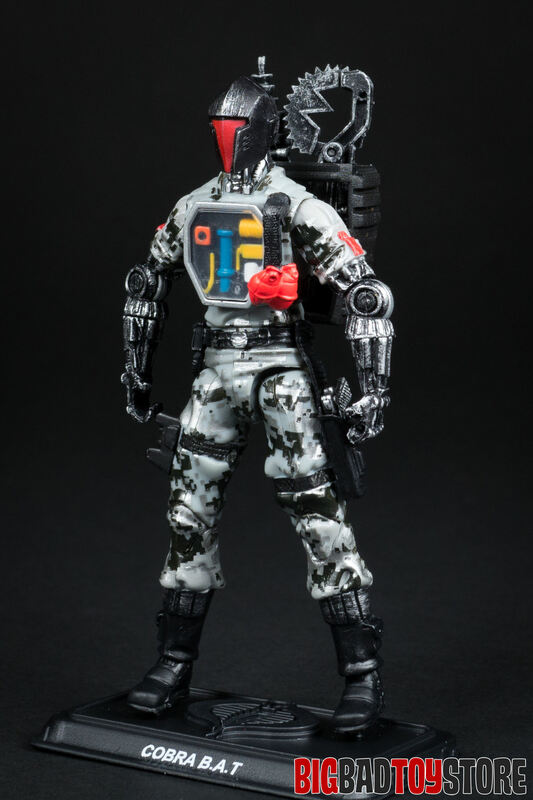 They go in first to wear down G.I. 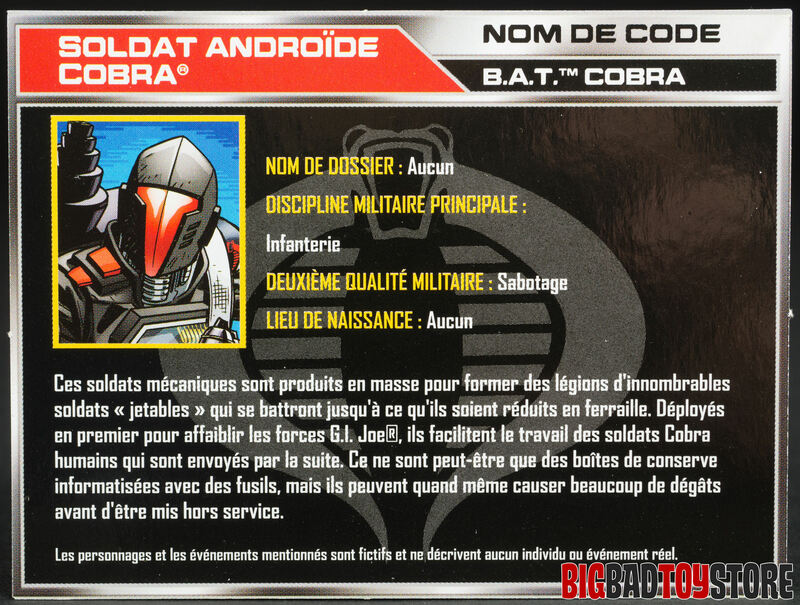 Joe forces, paving the way for a fresh wave of flesh-and-blood Cobra Troops to try to finish the job. 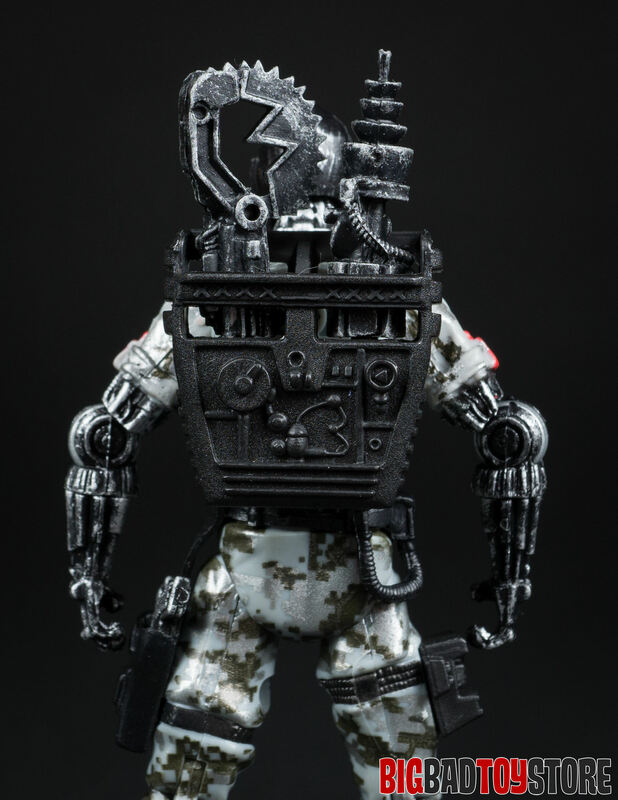 They’re a bunch of computerized tin cans with guns, but they can do a lot of damage before being reduced to smoking piles of circuits. 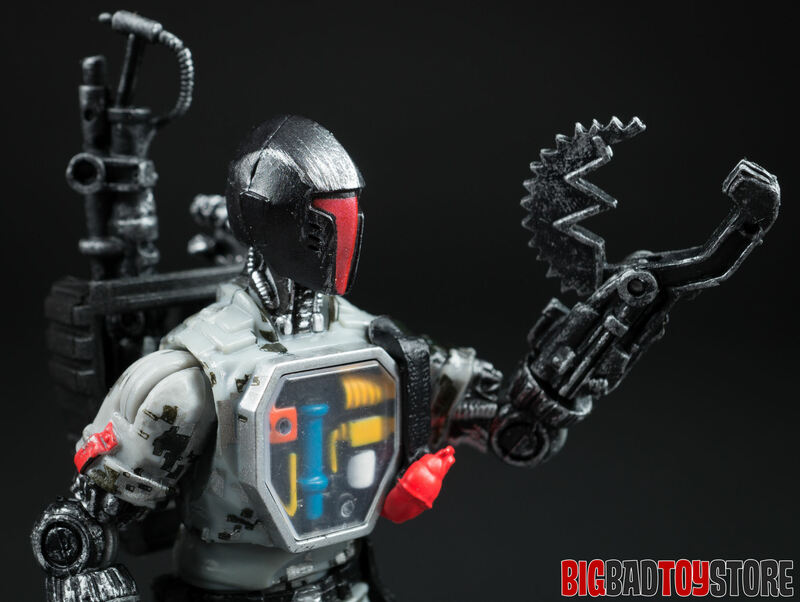 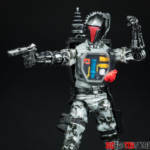 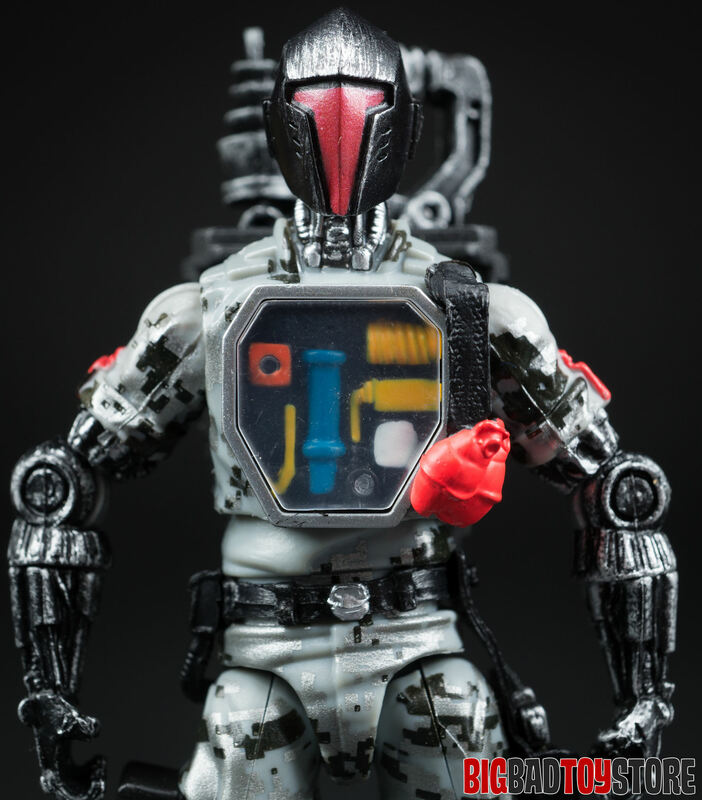 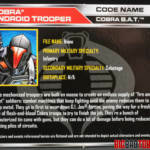 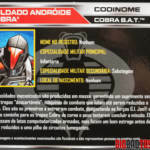 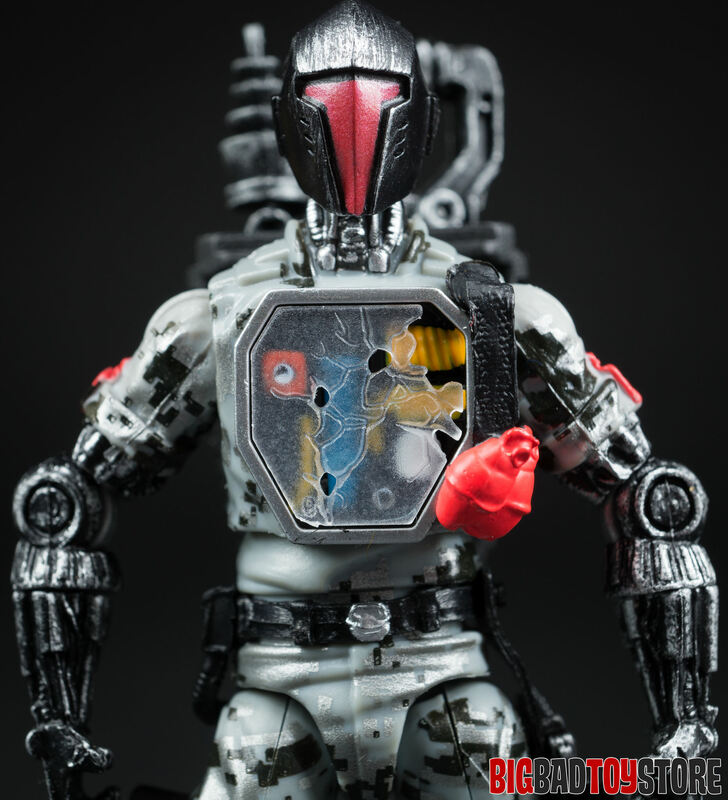 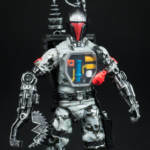 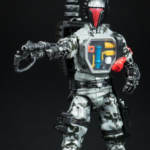 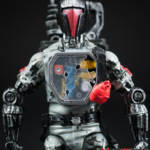 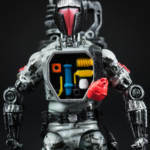 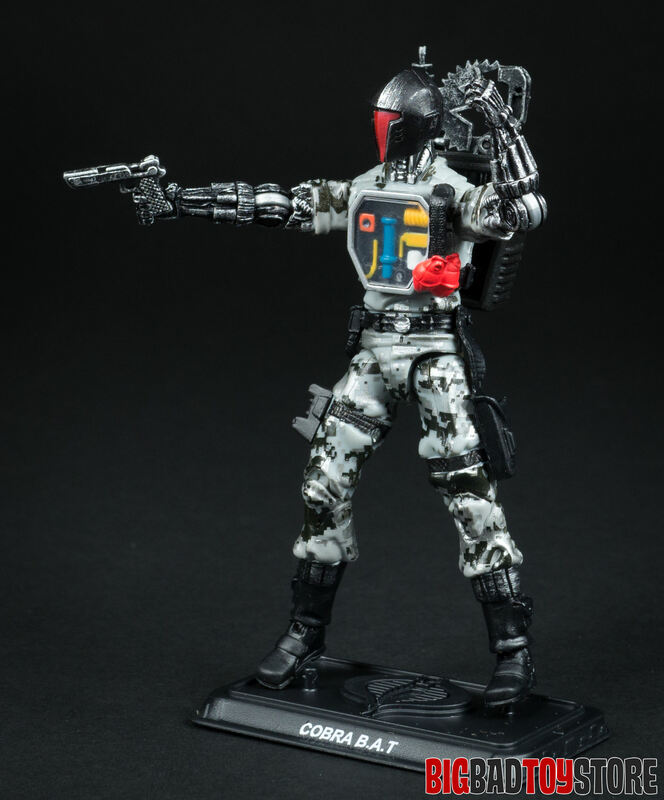 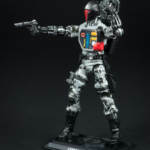 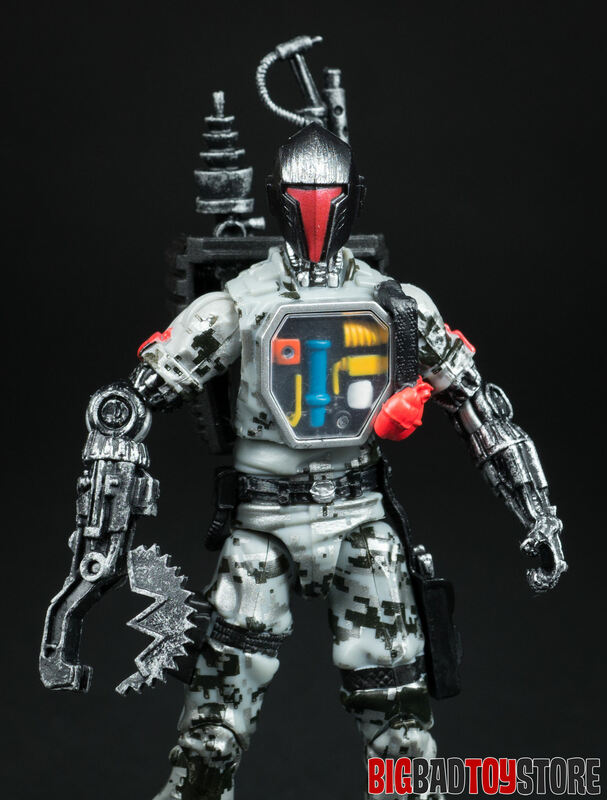 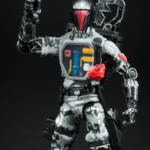 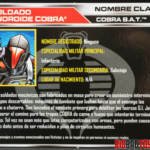 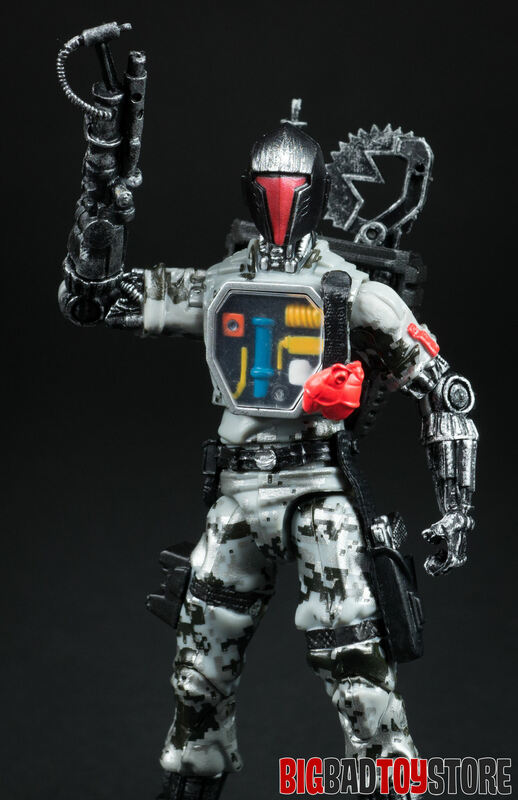 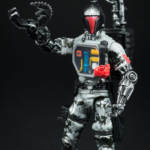 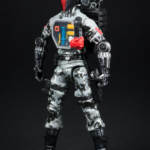 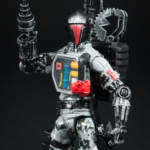 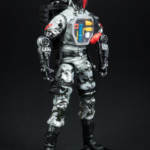 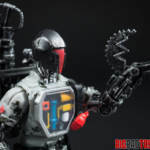 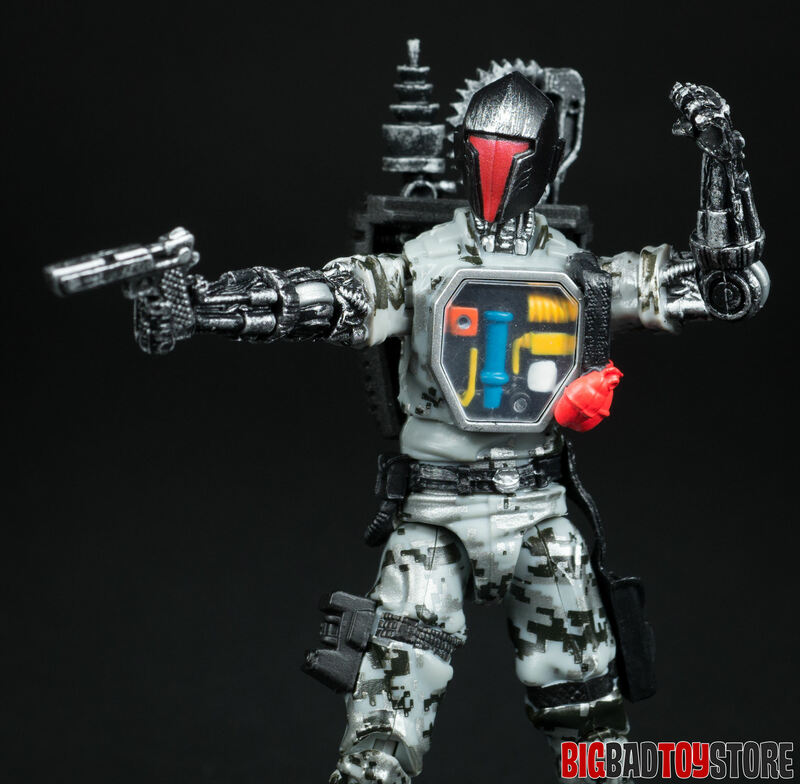 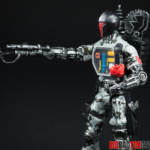 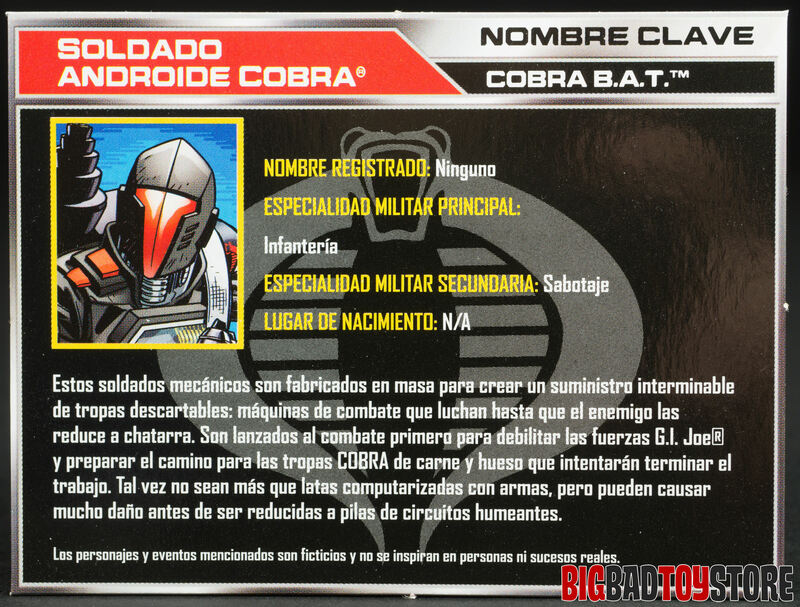 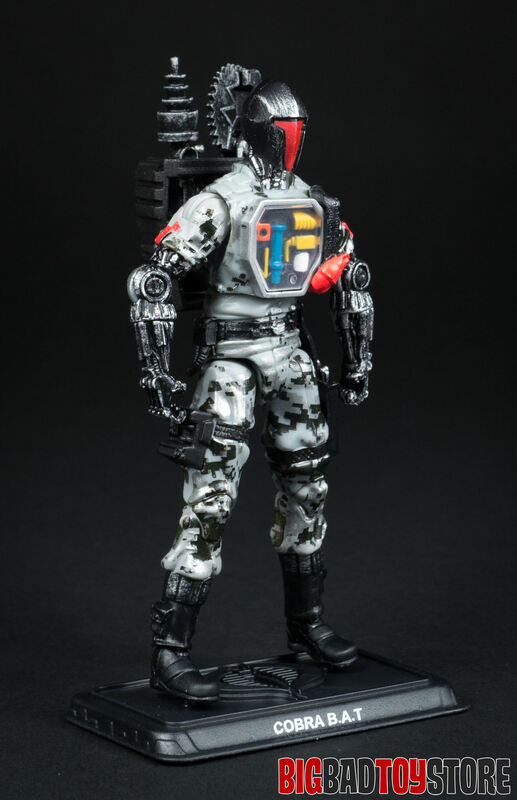 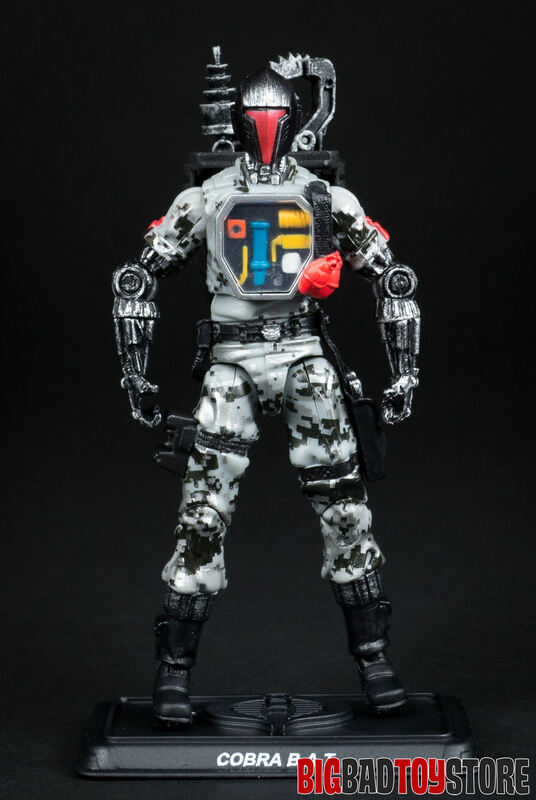 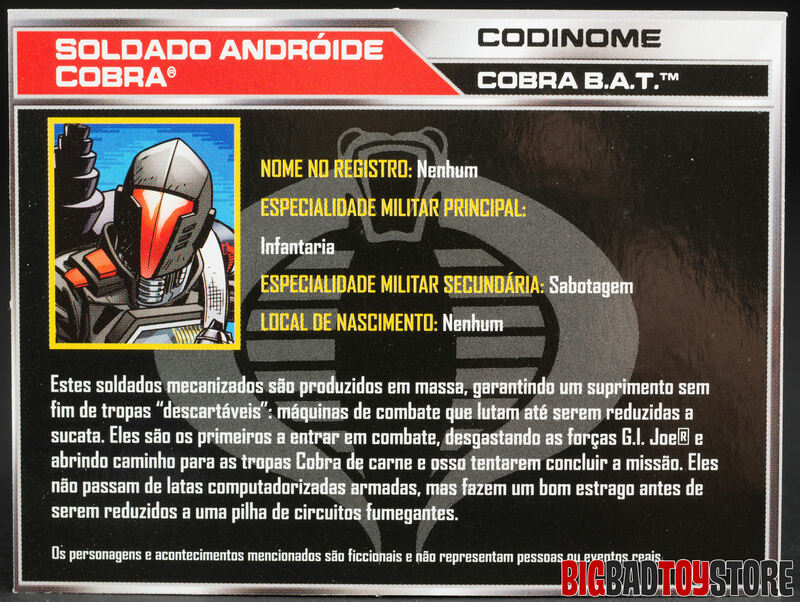 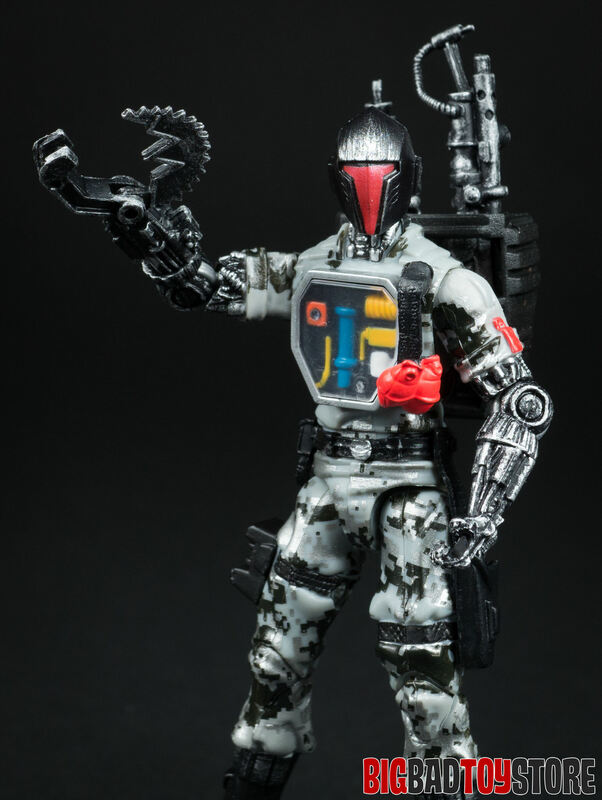 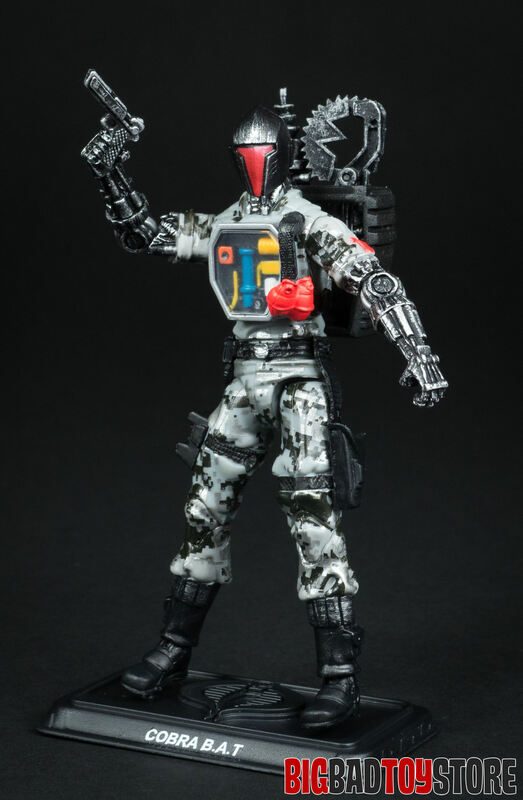 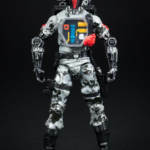 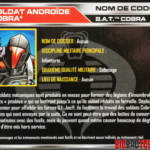 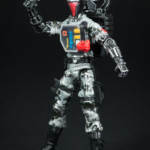 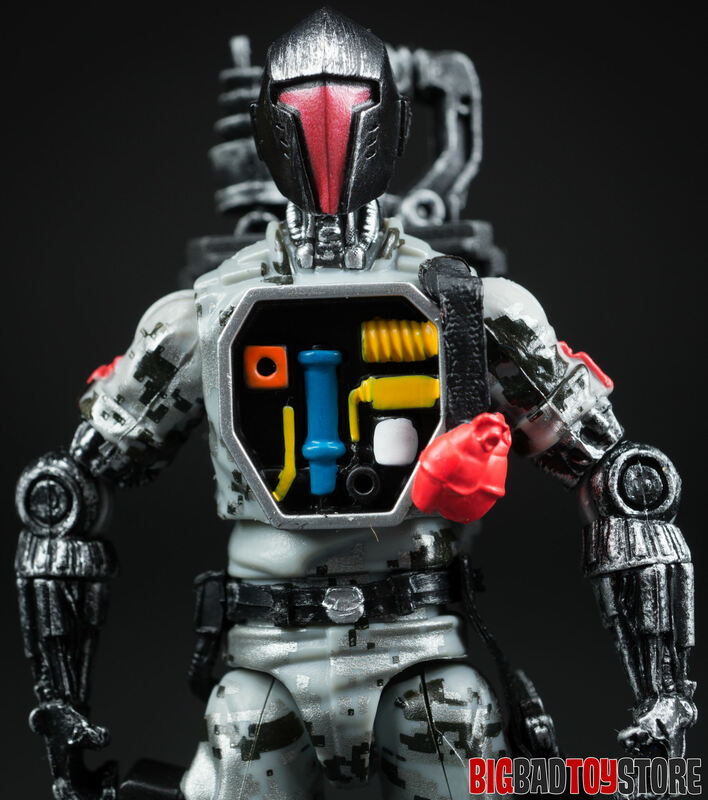 › Companies: Hasbro › Characters: Cobra B.A.T.